"My lawyer friend read it and advised me not to sign it. Whiskey Creek press has given me unprofessional bogus invoices as to how many of my books have sold. They’ve paid me less than $100 this year since my book was published last August 2013. Now they want to give me $200 to sign this contract? I don’t think so. There’s no professional accounting from Amazon.com or Barnes & Noble from them as to how many books have sold. I’ve spent $12,000 on PR website and travel and been on hundreds of radio stations across the country and a few television stations this past year and I have a hard time believing I’ve only sold a few books. Not in the position to go after them to find out what’s going on at this point but the new company and whiskey Creek have refused to answer my requests for more accurate accounting. I think they’re all crooks." Salesrank and Novelrank are notoriously inaccurate. For one thing they seem to count the sales from the US only. This is deceiving, because some books may not do well in the US but are successful and get good sales on Amazon UK, etc. 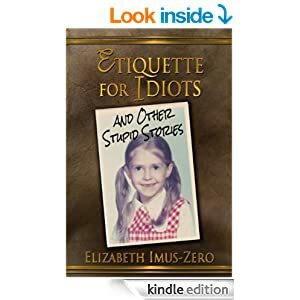 My experience, BTW, was similar to Elizabeth's. My book was in the top 100 consistently and yet I only received a paltry amount from WCP and (of course) no sales statements. What made me suspicious was that my book only sold 3 copies during the 3 years it was at WCP. Yet it started to do well as soon as I had it with another publisher. Now it's in the top 100 on Amazon. "Judging by this, the Womacks weren't exactly flush for cash. If they'd been stealing royalties, surely a collection agency wouldn't have gone after them twice for amounts under $1,000. Just sayin..."
There's another way to look at that too. If they were so short of cash they couldn't cough up a few hundred dollars, do you really think they're gonna pay out the royalties to their authors? Honk if you love WCP. Novel Rank isn't very accurate. I have a book currently ranked at 5,734 and it's saying that there are no sales. Really?! Then how the hell is it ranking so well? I'll check back to see if it updates, but not willing to trust it enough to show a lawyer, that's for sure. Here's a thread about novel rank. I would be stunned if anybody on this board has a book in the top 100 on amazon. I didn't mean it was in the top hundred paid. It's ranked in the top 100 in its category. Amazon is a tricky system to understand. You've raised some valid points/ If ever a business needed to be audited it's WCP. I've been to see a lawyer who told me he would arrange to have an accounting firm in Casper do the audit. He said it was important to have that done prior to filling a lawsuit. Hmmm...the lawyer I spoke to wanted to file the lawsuit right away, and then go for the audit. I have to talk it over with my husband before deciding. Are the two of you going to be seeking to recoupe legal costs from WCP with your lawsuits? Absolutely we'll be asking for legal costs, as well as compensation for all the pain and suffering we've been put through for years. I was offered $1 - yes, you read that right - to sign the new contract with Start Publishing (not $200 as some authors seems to have been offered). I haven't signed, and have sent three emails (so far) asking what happens to my books now, and asking for reclaim of rights from a now defunct publisher Guess what? No response. I've been with them since 2005. 3 book series. I was also paid $1.00 and I've rarely made anything there over 10 bucks. (shrugs) it's always good for authors to read over contracts. Most are standard in e books, which Is why I left six E publishers at the end of contract and went indie in 2007. I signed this contract because WCP only has a (buy out) clause of $500.00 I think... I honestly cannot recall, but that's why I left the books where they were when my contracts were up with other publishers. and with them years ago. sadly, I wrote them off a long time ago. I don't even recall my passwords or anything from the website. On principal I wouldn't buy my own work back. But, each author has to make the best decision for them. Mine was moving on and going Indie. we'll see what Start does. Having been in the biz and around the block a dozen times, contracted with scores of e pubs from the early 2000's, I never expect to make much when someone else controls the cash flow. by nature E pubs bury books after a few short weeks, and are slow to make changes that others in the market do to sell e books. I don't think many readers buy direct anymore from e pubs either. Price is always an issue. But I'm hoping to be surprised for a change (wink), Best of Luck to everyone.